Panama fell under Spanish rule in 1538, subsequently becoming a part of the Viceroyalty of Peru. During the period of the Spanish American wars of independence Panama started its preparations for independence, but the plans were changed. On November 10, 1821 the residents of Azuero declared their independence from the Spanish Empire. Their act was met with disdain in the capital of Panama, that is why the local authorities were forced to accelerate their own plans. 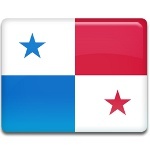 Soon after the citizens of Panama City also declared their independence from Spain. This event took place on November 28, 1821. Celebration of Independence Day from Spain is marked by the parades held in Panama City. The parades are organized by schools bands. People enjoy traditional dancing performances, organized on the streets of the capital of Panama.